The Bank of England & Financial Services Bill 2015 offers an important opportunity to solidify within legislation the Government’s commitment to promote real diversity in the financial services sector. A properly functioning, healthy and genuinely consumer focused financial sector requires a broad range of different types and sizes of financial institutions operating in it to drive competition and financial resilience. This range of institutions includes customer owned financial mutuals, such as building societies and credit unions. “(f) the importance to consumers of a diverse financial services sector that includes both firms of different ownership models (such as mutual societies) and firms of different sizes.”. “(3) In discharging its general functions, the PRA must also have regard to the importance to consumers of a diverse financial services sector that includes both firms of different ownership models (including mutual societies) and firms of different sizes.”. Why is an amendment needed? The BSA commissioned academic research into diversity in financial services leading to two reports which chronicled the decline in diversity since 2000. We noted as a contributing factor the tendency for regulation to push towards uniformity and called at the time for a statutory corrective. Both regulators can point to examples of good practice where they have chosen more proportionate or differentiated approaches. But there are also other instances, such as the examples below, where this has not been the case. A ‘one size fits all’ approach to regulation drives the sector towards uniformity. So it is important for regulators to get it right first time, every time, to support diversity. In the past a ‘one size fits all’ approach to regulation, often designed for large companies with a PLC ownership model, has given rise to problems, for both smaller and customer-owned financial institutions. The impact can be magnified for organisations which belong to both categories. These issues occur at both a UK and EU level, but adopting this amendment would be a first step to stop the channelling towards uniformity. Far better for this to happen by way of internal challenge within the regulator, than to depend on successful lobbying afterwards by companies and trade bodies. Requiring the PRA and FCA to consider both size and ownership model during policy formulation would help prevent some of the problems encountered by financial mutuals in recent years. In summer 2015 the PRA was implementing the Bank Recovery and Resolution Directive. In the directive it was permitted to reduce the reporting requirement and frequency for smaller institutions. In practice this would have allowed smaller institutions not to submit annual updates, but instead do this every other year, saving significant resource. The PRA decided not to allow this, in spite of the plain words of the directive. In June 2015 the PRA proposed reforming the prudential regime for credit unions. The PRA proposed a substantial increase in the capital requirements for large credit unions, taking them to a leverage ratio of 10%. By contrast, the leverage ratios expected to be applicable to banks range from 3% to 5% depending on systemic impact. It is difficult to see the justification for requiring a large, established credit union to hold more than twice as much capital in relation to its assets as a large bank. We strongly criticised this move in a response on behalf of our credit union members, and it was generally slated by the various trade bodies in the credit union sector, and we hope and expect it will now be amended. But paying attention to size diversity across the board would have challenged this proposal before it saw the light of day. We are asking for an environment where all types of firms are able to operate on a fair basis, with regulations that are appropriate and proportionate to them, rather than one size fits all. 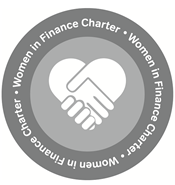 Enshrining this commitment in legislation will require regulators to give the diversity of financial provider due consideration, looking at different business models and sizes of provider side by side. We believe that this will lead to a more appropriate and proportionate regulatory regime which in turn will lead to a more competitive financial environment in the future. Why is a section in the remit letter insufficient? Including a commitment to diversity of provider (by ownership model and size) in the 2015 annual remit letters to the Prudential Regulatory Authority (PRA) and the FCA (Financial Conduct Authority) would undoubtedly be helpful, but enshrining in legislation a requirement for the PRA and the FCA to consider diversity of provider, as well as competition, would deliver a lasting commitment to the benefit of both consumers and the wider economy.